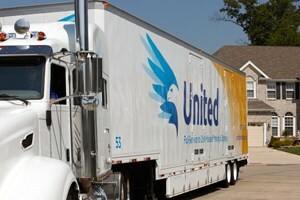 You might have heard that spring and summer are the most popular times for moving, and this is true. However, that does not mean moving in the fall isn’t without its perks! In fact, after discovering these fantastic fall moving benefits, you might re-consider your previous notions about seasonal moving! When you need to hire a professional moving and storage company, the fall season provides greater opportunity to shop around and get the best deal. The demand for moving services drops off after September, so you’re more likely to get the quality help you need, whereas in summer months you might find that your choice movers are fully-booked. You’ll Save Money on Moving Costs. Moving in the fall not only broadens your options for quality moving services, but you are also likely to get a good deal on relocation costs. Many moving and storage companies offer special discounts for seasonal moving to offset the lag in business, and the same is often true when hiring realtors to handle the buying and selling of your property. It’s the Best Time to Buy. When saving money is your priority, then fall moving is the best choice. You’ve discovered the benefits of hiring movers off-season, however, you should also consider the benefits of buying a home during low-demand months. Autumn is typically a buyers’ market because fewer people are buying and selling homes during this time of year, so you could negotiate some impressive discounts! Moving can be strenuous, even if you’re working with relocation professionals. Moving in the fall means cooler temperatures, less rain, and lovely scenery that can make for an enjoyable road-trip! Although the autumn weather is usually mild, it’s still a good idea to plan for the occasional thunderstorm or snow, depending on your location. For full-service relocation solutions, fair prices, and impeccable customer service at any time of the year, go with Blackhawk Moving and Storage!